m-e Xcam Pro1 Additional Ceiling Camera for Vistadoor and Vistus Doorphones. m-e GmbH modern-electronics Wired intercom system Outdoor unit ADV-110 1 Family Stainless steel. Video-Türsprechanlage Kabelgebunden Inneneinheit m-e modern-electronics VDV 505 WW 1 Familienhaus W. m-e VDV-500.1 Xcam Additional Dome Camera for Vistadoor and Vistus Doorphones. m-e modern-electronics Wire Video Door Intercom System Indoor Unit VDV-503 1 Black. 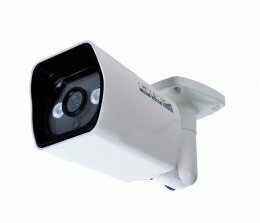 m-e Xcam Pro3 Additional Dome Camera for Vistadoor and Vistus Doorphones. m-e Vistus AD-4030 3-Family House Audio-Doorphone Complete Set. m-e Vistus VD-610 1-Family House Video-Doorphone Additional Outdoor Unit. m-e Vistus AD-400 Additional Indoor Unit Audio-Doorphone. m-e Vistus VD-620 2-Family House Video-Doorphone Additional Outdoor Unit. m-e Vistus VD-6310 3.5-inch Monitor 1-Family House Video-Doorphone Complete Set. m-e modern-electronics Wireless Doorbell fg-1.1 Complete Set 100 m White.